Former Secretary of State Hillary Clinton defended the fact she's reportedly made $5 million in speaking fees since leaving the State Department in early 2013 by arguing that her family "came out of the White House not only dead broke but in debt." At 6:30pm ET, S.E. 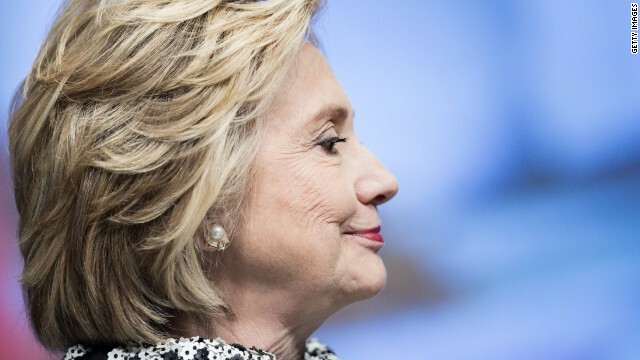 Cupp and guest host Paul Begala are joined by Tracy Sefl of Ready for Hillary and Tim Miller, who is the co-author of "Failed Choices," a response to Hillary's new book. Was Hillary Clinton an effective Secretary of State? If a supreme court judge can accept $200,000 for giving a half hour speech to Americans for Prosperity there's nothing wrong with a retired Secretary of State doing it. It must have been horrible trying to survive on the 106 million that Bill earned from 2002 to 2010.. think of the things she had to give up! It's obvious Free-Traitors = ABC = Foxconn = China = Our money and our jobs going, going, gone! Are you kidding? What did she do? Remember the restart button with Russia? And she got the translation wrong! Hillary's nothing but a transparent-disingenuous-dishonest-unethical-evil-power-monger! When that Monica scandal happened, she probably got just what she wanted, leverage. If people want to pay to hear her speak, why is there any issue with that? Why is her doing that any different from any other politician who does that after they leave office (and most of a high profile do get money for speeches). Dorothy Bush Koch (George W.'s sister) goes for over 10 grand a speech and she's done almost nothing of public note other then be related to presidents. There's nothing odd or controversial about charging for speeches if people find you interesting. Not to mention actual active supreme court justices doing it right out in the open. Why is the media so infatuated with this evil-unethical-disingenuous-dishonest-power-monger! Could it be that Free-Traitors and Foreign interests own and control our media? It's Hillary – Hillary – Hillary 24 / 7 / 365 – Hummmmmm? We all knew back when that whole Monica scandal was going on, that she must have made a deal with the Dems and the Devil for promises of power in the future in return for her standing by "her husband" Bill's side. You know the problem in trying to elect good leaders for The United States of America has nothing to do with the color or gender of our politicians. It's our politician's, from both parties, lack of honesty and the lack of willingness to do right by the US citizens that they're elected by and should be representing. Before Hillary Clinton runs for president, Americans need to remember that it was her "husband" that got us into bed with Communist China in the first place. – And how's that been working out for the American People and the Real American Economy? Clinton is the one who opened up the trade floodgates with Communist China and both Bill and Hillary were actively involved during their visit to China. Bill Clinton, "I did not have sexual relations with that woman nor did I have unethical trade relations with that communist Chinese government." Bill and Hillary Clinton are two of the biggest FREE-TRAITORS around. Hey you stinking Free-Traitors: The AMERICAN PEOPLE can see what's been and is still being done to them! But let's face it, both parties are full of stinking Free-Traitors.